Dapoli is a town in Ratnagiri district, Maharashtra. 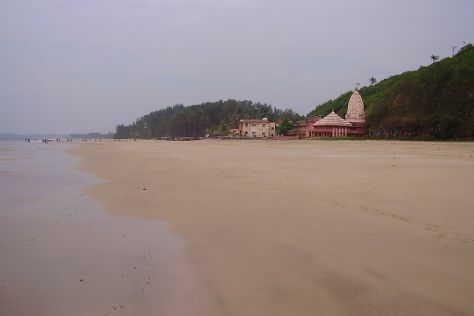 Kids will appreciate attractions like Murud Beach and Shri Ganesh Temple. Venture out of the city with trips to Anjarle Beach (in Anjarle) and Harnai Beach (in Murud). 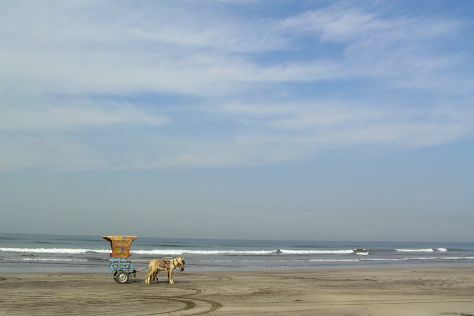 And it doesn't end there: enjoy the sand and surf at Ladghar Beach, don't miss a visit to Parshuram Bhumi, and tour the pleasant surroundings at Karde Beach. To find photos, other places to visit, where to stay, and tourist information, you can read our Dapoli trip builder site . Pune to Dapoli is an approximately 5.5-hour car ride. Finish up your sightseeing early on the 23rd (Thu) so you can go by car to Ganpatipule. Famous for its pristine beaches and namesake temple, Ganpatipule offers tourists a blissful getaway. Start off your visit on the 24th (Fri): contemplate in the serene atmosphere at Ganpatipule Temple, enjoy the sand and surf at Ganapatipule Beach, and then enjoy the sand and surf at Ganapatipule Beach. On your second day here, kick back and relax at Arey Ware Beach, enjoy the sand and surf at Malgund Beach, and then examine the collection at Prachin Konkan Museum. To find where to stay, more things to do, photos, and tourist information, refer to the Ganpatipule online tour itinerary planner . Traveling by car from Dapoli to Ganpatipule takes 4 hours. In May, daily temperatures in Ganpatipule can reach 41°C, while at night they dip to 32°C. Finish up your sightseeing early on the 25th (Sat) so you can travel back home.